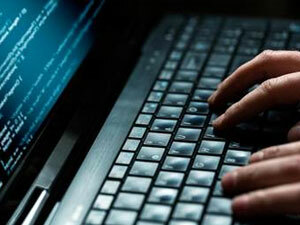 A University in Australia has launched a Master’s degree in cyber security in response to the growing number of cyber attacks on organisations in the country. Lowri has the lowdown. In terms of data security education Australia seems to have set the ball rolling, influencing universities around the world to take cyber security education on board in light of recent worldwide data breaches and high-profile cyber attacks. The course aims to offer awareness on how to develop diplomatic responses as well as a range of strategies to deal with threats, offering insights as to how organisations can prepare for and respond to them. The course seems very apt in our developing age of technology as, according to research conducted by professional service network PWC for its ‘Information Security Breach’ report, SMEs are now at the top of the list of many cyber criminals, who can cause between £65,000 and £115,000 worth of damage. PWC believes cyber threats have become more and more sophisticated and that many employees do not have the knowledge to deal with them correctly. And it’s not just New South Wales University that seem to be stepping up to the mark either. Last month Deloitte announced it had opened a Cyber Intelligence Centre in Sydney, as part of a global network which aims to monitor cyber risk at a global, regional and national level and will work with local organisations to respond to threatening risks. Data security is more important than ever in the world of business and technology and it seems as though educating businesses may be the best way to tackle the growing problem. Data breaches affect businesses of all sizes and industries, and thorough data security practices are now an essential part of a business strategy. Identifying risks and knowing how to act on them seems to be a wise move from down under.